Buy Revolution Pro Highlighter online at Boozyshop, the makeup webshop! Would you like to enrich your make-up with a subtle shine or all-over glow? All you need is a beautiful highlighter from Revolution Pro! 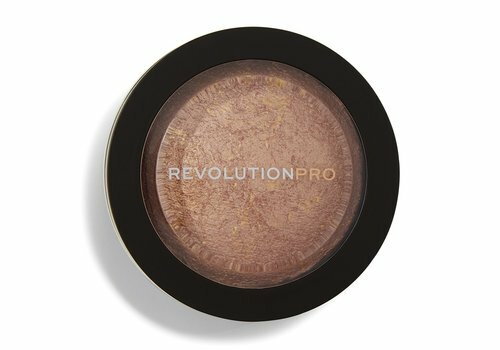 Because Revolution Pro is (of course) also a pro when it comes to highlighters. Create a beautiful, fresh and glamorous look and all eyes are guaranteed to focus on you, thanks to Revolution Pro! Do you have a pearly white or ice blue highlighter in your shopping cart? Boozyshop's range is filled with various Revolution Pro highlighters. So there is a perfectly fitting highlighter for everyone! Find your favorite shades that fit nicely with your skin tone and undertone. And there is plenty of choice; from pearl white and champagne gold to different bronze and copper shades. Even if you are looking for a unique glow, Revolution Pro has a suitable highlighter for you. You will soon click an ice blue or peachy pink highlighter in your shopping cart! 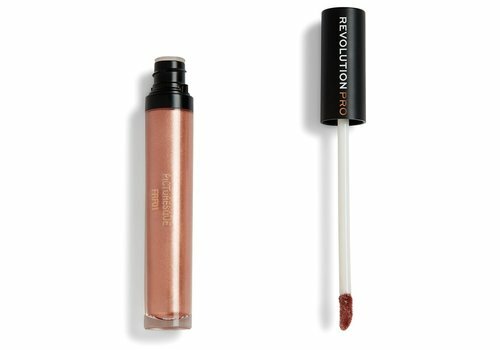 But the highlighters of Revolution Pro have even more great features! The highlighters have a mega soft and very fine texture that you apply quickly and easily to the areas you want. Light up the areas where the sun's rays or romantic candlelight falls or apply the highlighter evenly over your entire face for a dazzling shine. It does not matter how you apply the highlighter, the intensely pigmented highlighter gives you an incredibly beautiful look.